I do not hesitate when asked what my favorite area of Connecticut is. While I love many diverse parts of the state from Stonington’s downtown borough to Yale’s historic buildings and New Canaan’s modernist neighborhoods, the extreme northwest corner is always my answer. I don’t go so far as to claim one town better than rest, but the 6 towns from the Barkhamsted Reservoir to the New York line are where I want to be – at least from late September through March. Barkhamsted/Hartland, Colebrook, Norfolk, Canaan and Salisbury. 3 of our state’s 8 National Natural Landmarks are situated in these towns (Norfolk, Salisbury and Canaan) and 2 more just miss out on my geographic boundary (Granby and Cornwall). I could make a case for each of these “favorite” towns and believe me, when you realize that a majority of Nutmeggers have probably never even even heard of Canaan or Colebrook, let alone point their locations out on a map, I better have a well-crafted case. Simply put, they are beautiful. They are the towns postcard photographers must go to capture the autumn or winter scenes for their portfolio. There are lakes without lake houses and ponds without boats. There are vistas without clutter and forests that haven’t been logged. 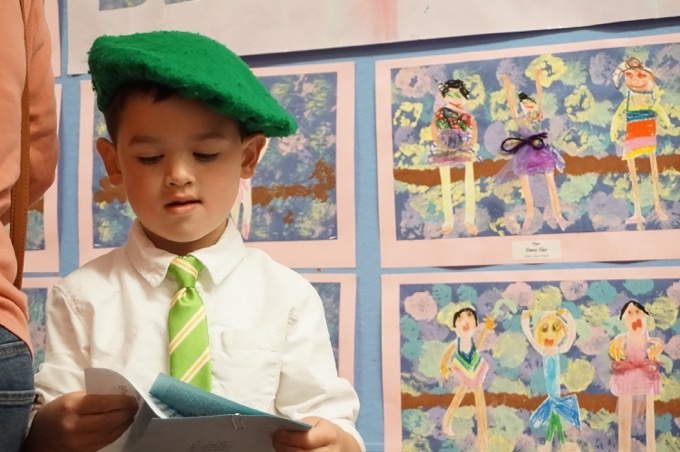 This is wild and rural Connecticut – with just enough pastoral white churches on hills, farm stands and dirt roads to make it the essence of New England. 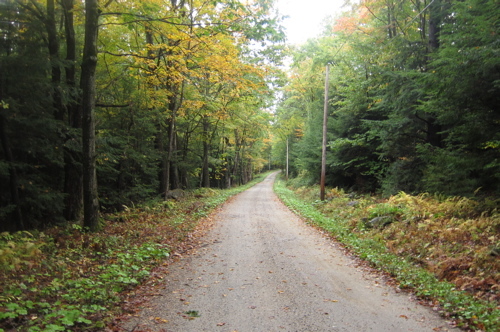 I parked along the road and picked my way through the wet woods. It was silent. Like, creepy silent – which I love. Huge red spruces and white pines towered over a dense mat of ferns and mosses. It’s like Endor in there. In Connecticut! I made my way down the slight hill to Beckley bog itself. Further south sits Beckley Pond, but it’s the bog we care about here. Why? Because Beckley bog is the most southerly sphagnum-heath-black spruce bog in New England! 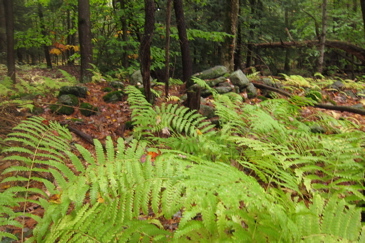 Beckley Bog possesses all the principal elements of a boreal bog and it is a rare relic of the early post-Pleistocene. 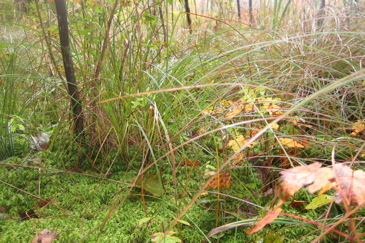 Peat moss underlies the quaking, floating bog mat to a maximum depth of 50 feet. Whoa. That’s a lot of qualifiers for a superlative. But I’ll take it… I was standing next to – and at times, very close to in the most southerly sphagnum-heath-black spruce bog in New England! I felt important. And I felt like I wanted to share my joy with someone… something… I spun around and… Oh! 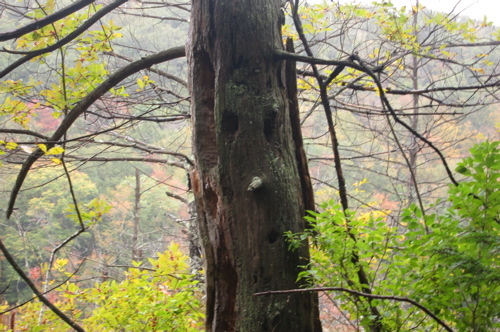 Hello Creepy Mr. Tree! 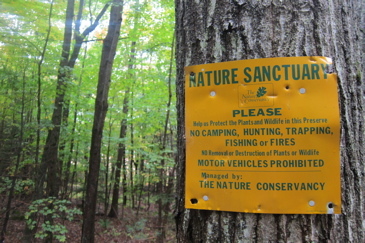 You must be very proud of your home, being a National Natural Landmark and all. 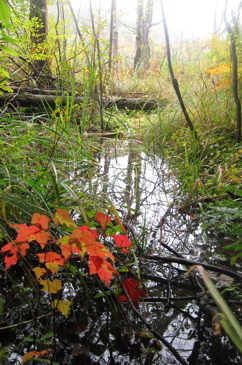 The pond and bog is one of the oldest preserved natual areas owned by the Nature Conservancy. The rare black spruce dominated swamp is mixed with tamarack, red spruce and white pine. Common shrubs include mountain holly, highbush blueberry, withe-rod and common winterberry. I sort of wished I had hip-waders to venture further out into the muck, but I’m not sure even they would have protected me. There was just something so foreboding about the bog… Like one step into it and I’d be sunk forever. But I did take a quick inventory of the sharp change in flora from the woods to the bog. Like the other nearby bog NNL in Salisbury (CTMQ Visit to Bingham Bog here), Beckley contains leatherleaf among other rarities. Leatherleaf, a shrub more common in northern New England wetlands, is a low plant growing in the herb layer alongside sheep-laurel, cranberry, roundleaf sundew, pitcher plant and sedges. Orchids are noteworthy species here, often restricted to these sites. Oh man, I would LOVE to find a pitcher plant in the wild. In Connecticut! Yeah, I totally love this stuff. Next time I’m in the area I’ll have to visit the bog. 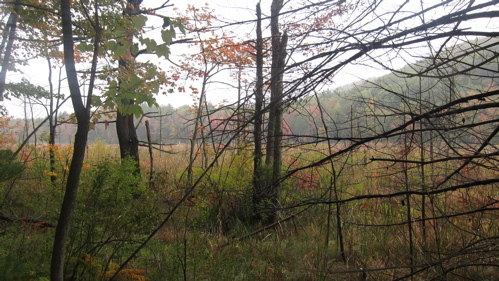 Check out the Black Spruce Bog in Mohawk Mountain State Forest. There is a boardwalk that goes through it, and I’ve seen a pitcher plant there, as well as lots of sundew. So I have yet to make it to Beckley Bog, but I hiked through Great Mountain Forest from their Windrow Road HQ to Tobey Bog. There’s a short boardwalk that takes you just far enough out to appreciate the boggy-ness, and I’m happy to report that there were pitcher plants in great abundance right there next to the boardwalk! Also plenty of larch (tamarack) and black spruce. Really an amazing place. 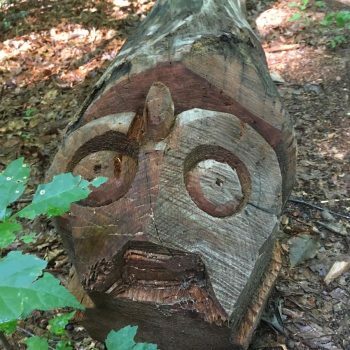 I’ve begun a blog about NW Connecticut and I think I’ll actually make my next post about Tobey Bog.